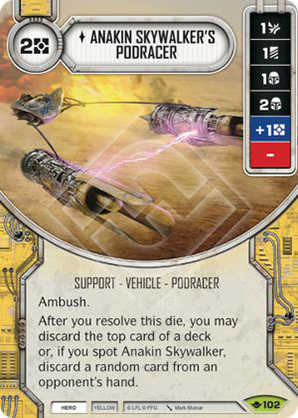 Apoyo - Vehículo - Podracer. Coste: 2. Way of the Force #102.